SERVED: In terms of chefs who made a significant impact in America's culinary vision, Wolfgang Puck ranks highly on the list. So it goes to say that if Wolfgang Puck doesn't like your cooking it is a gut-wrenching experience. On the season premier of The Next Food Network Star, each chef had to prepare a course for celebrity chef Wolfgang Puck and then present the dish and listen to the critiques. Alexis came in very eager to present his beignets and cited his sister for teaching him the recipe. And then comes the fun stuff. Wolfgang Puck asks if he still keeps in touch with his sister, because he'd disown her for this recipe. SERVED! The other judges pipe in on how terrible the beignets taste. SERVED! The most epic SERVING comes last when Wolfgang Puck tells Alexis that if he were to serve these beignets to his wife, she's divorve him. SERVED! 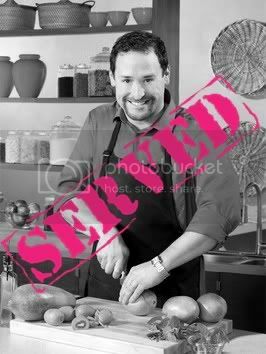 If you had any dreams of cooking, it definitely must be crushing to have such a mega chef completely rip apart your dish. It goes without saying, Alexis was eliminated after being SERVED the criticism of a lifetime.